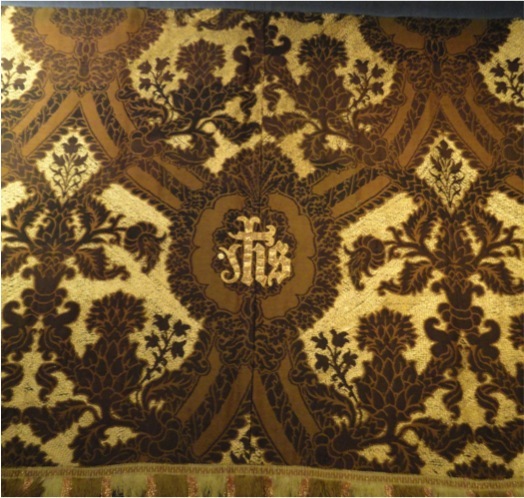 Watts and Company, Frontal with “Pine” textile design, embellished with gold and yellow thread, c.1900-1910. Used with permission. Watts and Company Archives. Author’s photograph.